Unlike every other InfoComm awards program, we don’t let companies enter themselves and we don’t take money to apply for awards. Every other InfoComm awards program is pay-for-play and are not to be believed. 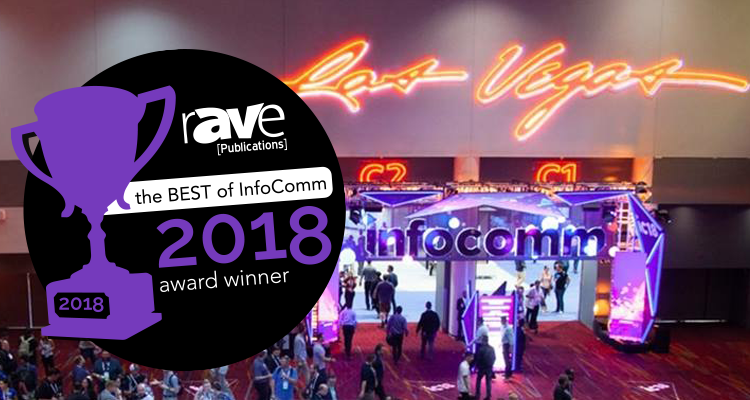 I am not saying rAVe’s Best of InfoComm 2018 Awards are perfect, but you can be guaranteed that no one and no company paid for an award. Another big differentiator we have is that we did actually go to every single booth on the show floor and shot videos of the new products there. So when we award something, we’ve actually seen the product in action. In fact, this is why it takes us so long to award these following a show — we watch those videos to make sure we’ve seen everything. And, everyone here at rAVe has a voice and gives input on the awards. So, here are THE Best of InfoComm 2018 Awards.